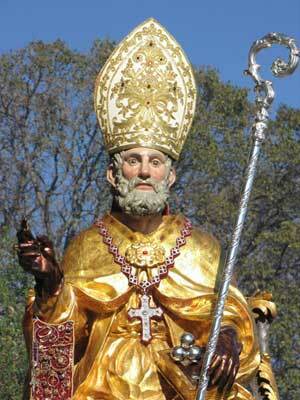 Solemn celebrations in honor of the Patron Saint Nicholas in Trecastagni (CT) on the first Sunday of December. 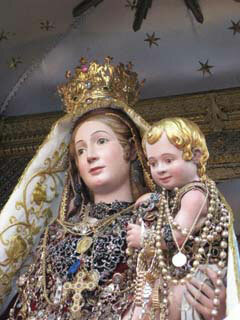 The earliest records of the cult of S. Nicola in Trecastagni date back to the early fifteenth century, when the ancient mother church dedicated to the Madonna della Misericordia was demolished, to make way for the present church, which was dedicated to S. from the beginning. Nicola; this news is confirmed in the bull of March 31, 1446 of Pope Eugene IV, with whom the Pope elevated to the dignity of Collegiata the church of S. Maria dell’Elemosina of Catania, aggregating to it various churches of the Diocese, among which the church of “S.Niccolò” of Trecastagni. Other information relating to the cult in honor of the Saint can be found in the seventeenth-century giuliane, kept in the parish archives, where the expenses for the feast of St. Nicholas are noted: “Spisi for rotula 14 of pulviri for the feast of San Nicola and for the illumination “(1616). The party had to be very heartfelt: just think of it as the historians Mons. Giovanni Lanzafame and Vito Zappalà Nicolosi assert, the nudes, who today pay homage to the SS.MM. Alfio, Filadelfo and Cirino, were none other than the sailors, who, having escaped the storms, came to thank as they were dressed, the patron saint of the sailors, bringing large candles as a gift. 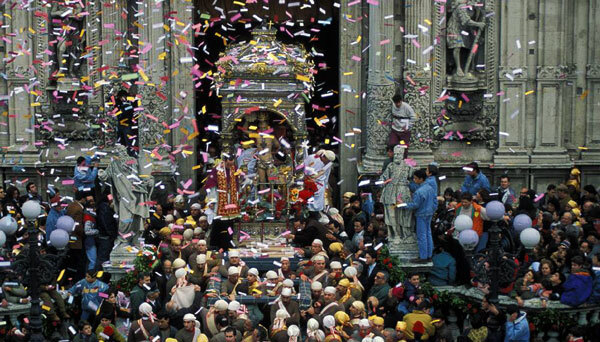 On the day of the feast, the statue of the Saint, carried on his shoulders by the devotees, leaves the main door of the church dedicated to him and is carried in procession on the fercolo of the Madonna del Carmelo. On Saturday, the eve of the feast, during the Mass, UNVEILED the Simulacrum of the Patron Saint, song of the hymn and translation of the image from the chapel to the main altar. 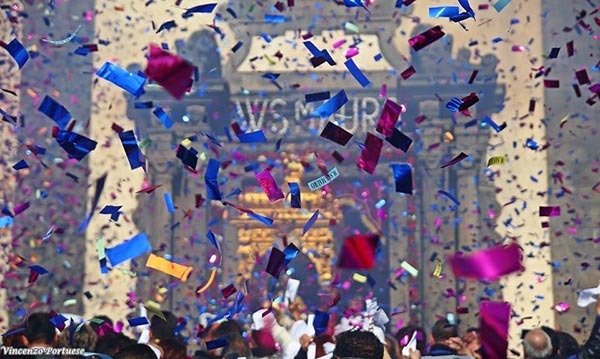 Sunday morning TRIUMPHAL EXIT from the main door of the Simulacrum of St. Nicholas, welcomed by the sound of the bells, fireworks, colored papers, music by band, and carried in procession. The path of the procession changes every year, but a fixed stop is the Largo dei Bianchi where it is greeted with the sound of trumpets. 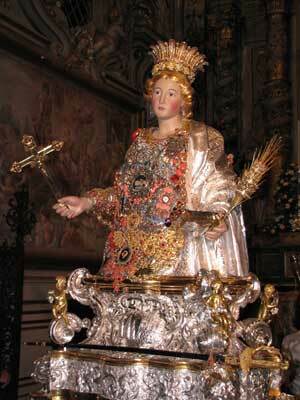 The Saint’s return to the church around lunchtime. In the afternoon, after the solemn pontifical, the relics and the simulacrum of St. Nicholas are brought back in procession, at the end of which it is returned to the Mother Church for the closing ceremony and the veneration of the S. Reliquies.